Momma’s got a brand new sauce. 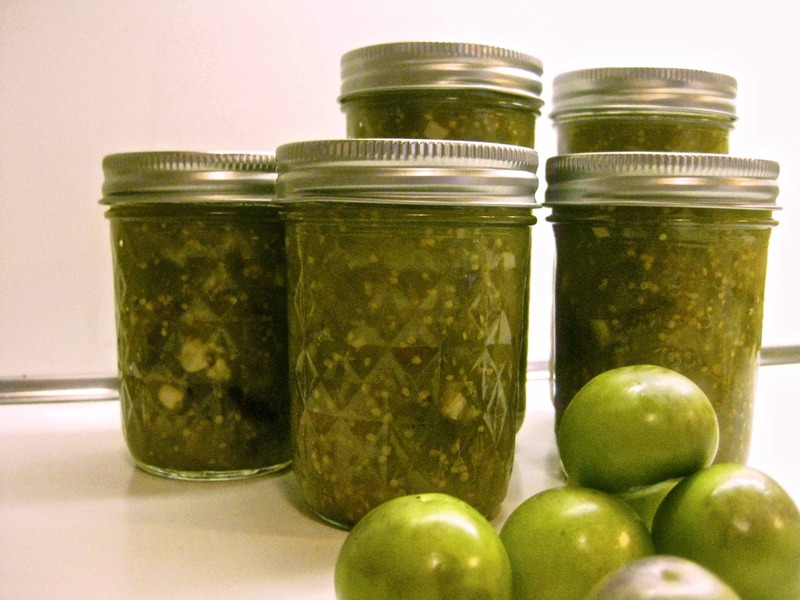 Canning tomatillos is certainly possible since they’re naturally acidic like tomatoes, but to make salsa that includes onions, pepper and garlic, conventional wisdom is to add a goodly amount of lemon juice. At least that’s the way I’ve made it for years following Eugenia Bone’s recipe in Well-Preserved. This year instead, I consulted Linda Ziedrich’s Joy of Pickling, which is a veritable bible of all things pickled, whether canned, fermented or just brined. I like Ziedrich’s method very much. She reduced halved tomatillos over medium low heat until soft, pureed them, and added lime juice, salt, abundant onions and garlic and roasted Anaheim peppers to cook thoroughly. Since we’ve had such a great growing year for hot peppers at our CSA, I’ve been roasting much of each week’s harvest (mostly pan roasting in a cast iron skillet, but oven roasting at high heat or a quick flip on a hot grill work well too). What we don’t use that week is frozen in single-serving-sized plastic bags. Tomatillos haven’t been that plentiful though they’re a late season crop. This year’s harvest yielded smaller and stronger fruit – even in the few rogue bushes that mysteriously cropped up in my home garden. The result is a denser and more pungent salsa. I like the kick. Add cilantro when serving. 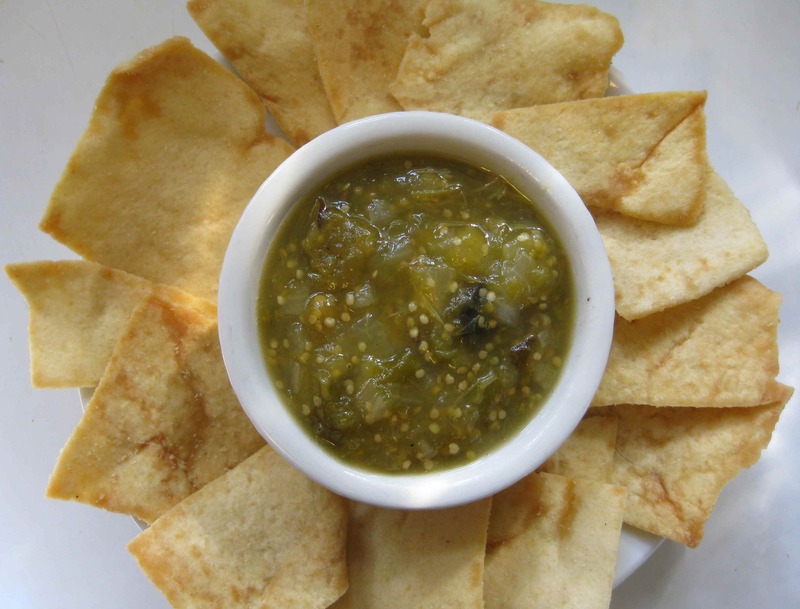 In the pot, combine the tomatillo puree with the remaining ingredients and bring to a boil over medium heat. Reduce the heat and simmer for 15 minutes. All of the vegetables should be completely cooked and the tomatillos should envelop them. Ladle the salsa into warm prepared jars, leaving ½-inch headspace. Close the jars with two-piece canning lids and process for 15 minutes after the water comes to a boil. Turn off the heat, remove the canning lid and let the jars sit for 5 minutes before removing them to a counter to sit undisturbed until cool. Makes approximately 6 eight-ounce (half-pint) jars.